One of the best things about growing, cooking and preserving your own food is savouring Nature’s stunning and vibrant palette. 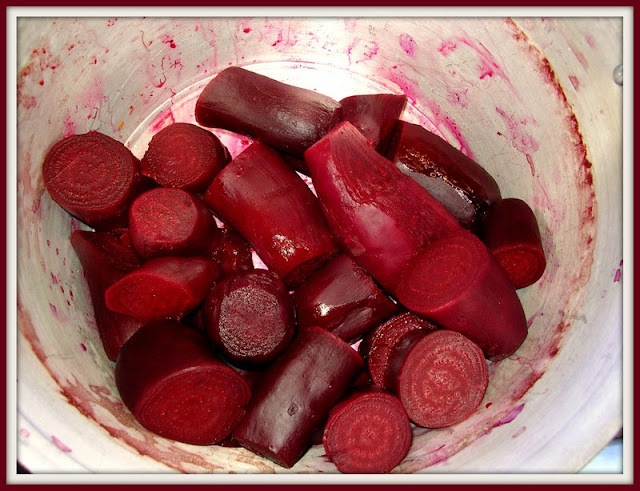 The deep, rich crimson of red beet. 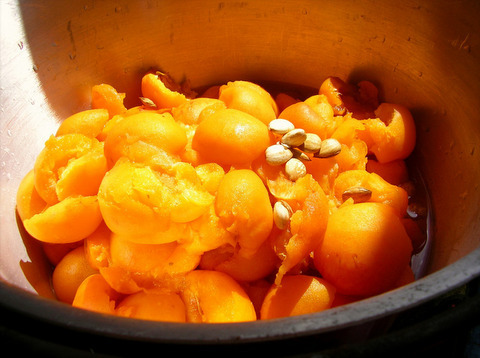 The sunny, golden glow of apricots. 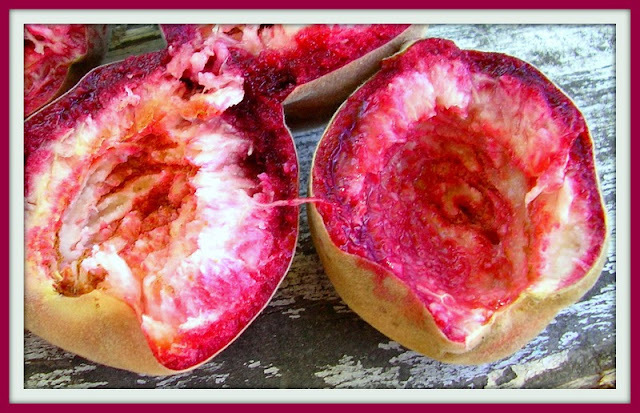 The deep purple and white flesh of the blackboy peaches. The vibrant red of succulent, homegrown tomatoes. The rainbow in a patch of coloured silver beet and Swiss chard. How easy it is to stop and just be enchanted by the gift of their beautiful hues. Life is such a feast. Some of the red beet in the pan being cooked before making beetroot chutney. Beautiful apricots glow in the early morning sun. 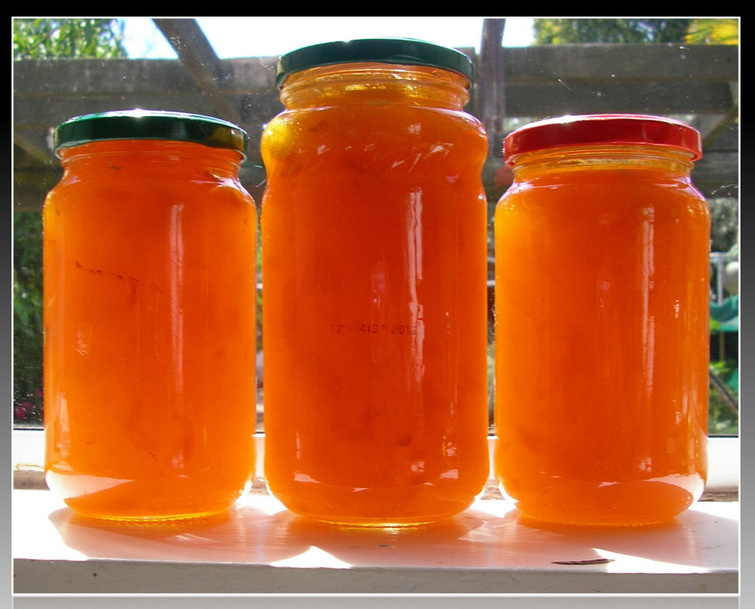 After making apricot jam I am still so enchanted by it's glorious colour I have to photograph some on the windowsill. Mmmmm. 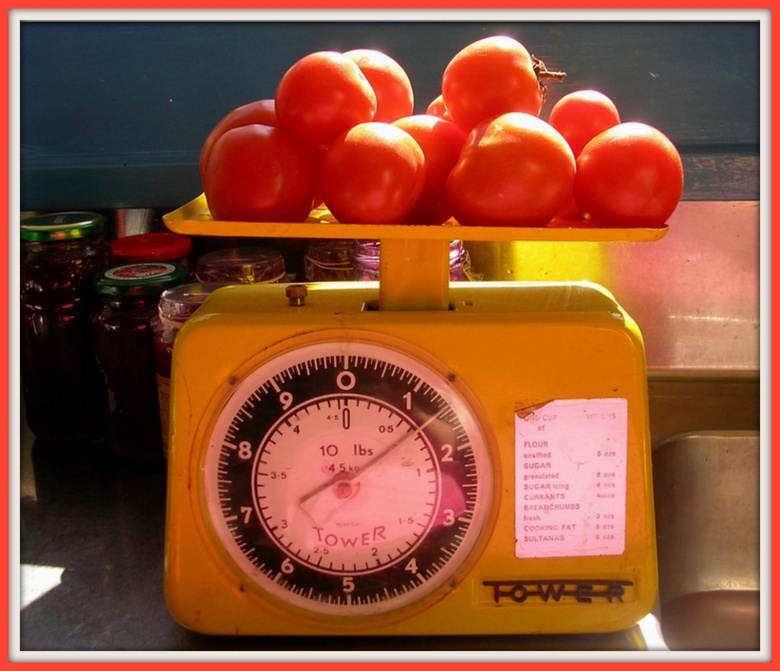 Juicy, fresh, homegrown tomatoes. The pretty purple of the blackboy peaches. The rich burgundy of fresh cherries against pale, ripening apricots.